NEPTRONIC HUMIDIFIERS AND HUMIDIFICATION SYSTEMS SK-300 HUMIDIFIER. 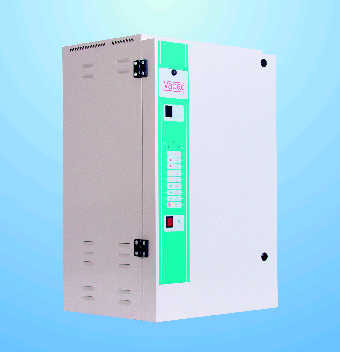 We are Sales Supplier of for Neptronic, National Environmental products, NEP, N.E.P. electric steam humidifiers, element type humidifyers, industrial and commercial humidification, modulating and blower-pak units, blower, pack, blower-pack, anti-foaming energy conservation system, multi, steam, multi-steam, Vapac, vapac, Va-Pac, vapak, SK-300, SK-200, SK-24, SK300, SK200, SK24, antifoam, anti-foam, Nortec, Dri Steam, Dri-Steam, Dry Steam, Hermedicool, Armstrong, Carnes, Vaporfan, Vapormist, MES-U, NH, DGH, ultrasonic humidifiers, SK Humidifiers, SKR Humidifiers, SKR Humidifyers, neptronic humidifyer, NEP Humidifyers, N.E.P. humidifyers. Engineering of Twin City Aerovent fans, CBC Chicago Blower fans, Acme fan ventilators, New York Blower, ILG American Coolair fans, fans for building ventilation, industrial high temperature oven fans, furnace blowers, leader ventilators, Delhi fans, negative pressure ventilators, USA industrial fas blowers, explosion proof pressure blowers, blower air knives, high temperature pressure blowers. Our power humidifiers designed to provide dry sterile steam for humidification. The humidifier consists of an automatically water fed stainless steel container with an easily removable cover containing heating elements and water level sensors. Reliability of our humidifier is one of the features that set it apart from competing humidifiers. Using the proprietary AFEC technology, this humidifier is much more forgiving to variable water conditions. Great care has been taken to select materials which have proven themselves for their exceptional performance in very harsh conditions. Such materials are elements made of super alloy, incoloy 825, teflon sleeved stainless steel level control probe, silicon tubing and baked enamel painted aluminum cabinet. Selection of electro-mechanical and electronic components has been based on many years of experience and exhaustive testing. All units pass through rigorous Q.C. inspection and full power check. 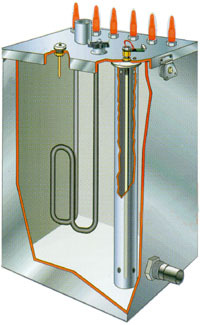 The AFEC technology developed by our engineering team offers a unique safety and energy conservation management of expensive boiling water and steam. The AFEC system is made of a mass measuring water sensor, anti-foam sensor, electronic high temperature sensor, interactive LCD display and microprocessor controller.